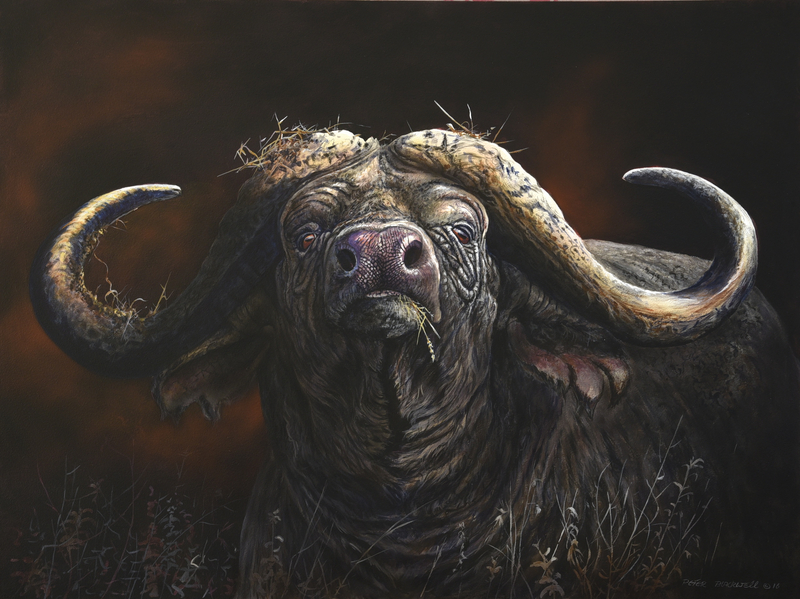 Kenyan born, Peter Blackwell has been intrigued by Africa's environments and its exceptional diversity all his life. Raised on a remote farm in Northern Kenya, the African bush was Peter's outdoor arena for entertainment and learning. 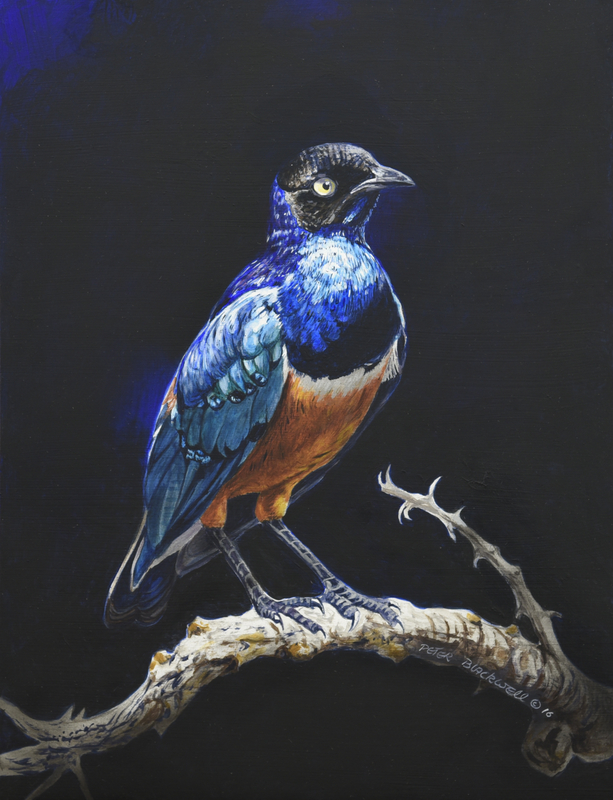 Formally educated in England, where he received a degree in Graphic Design, Peter was keen to return to his roots to pursue a career not related to the advertising world, but to focus on the bush and continue on a lifetime interest, that of wildlife painting. Virtually self taught in the area of fine art, Peter built up a reputation as a watercolour artist specialising in birds, gaining acclaim for his ability to bring to life his feathered subjects, with incredible character interpretations, distinctive detail to bold and iridescent colours and the fine intricate work of precise feathering. 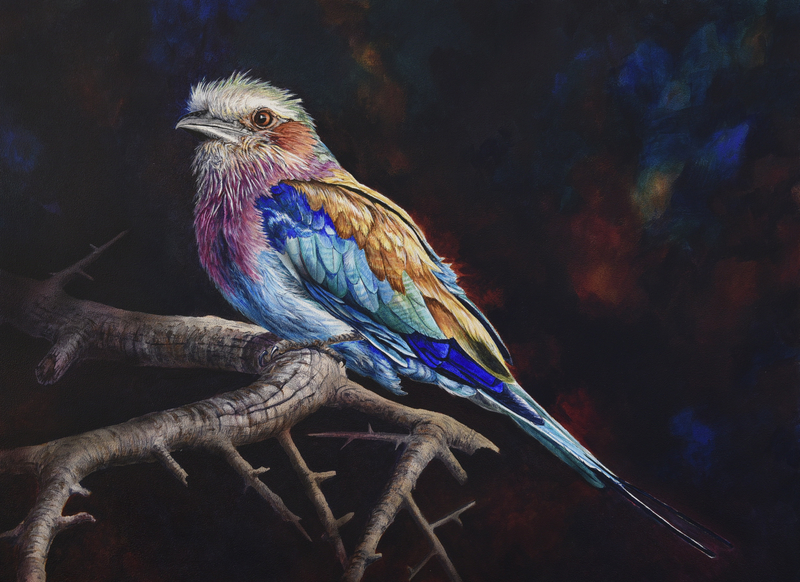 Gradually Peter included animals and landscapes as well as oils and acrylics into his portfolio, all with the same great care and individuality as his bird pieces. Today he centres his attention on all the aspects of the African landscape. His originals range from pieces only a few inches in dimensions to several feet, in mixed mediums. Peter spends many weeks of the year in the bush, where he not only obtains the reference material necessary to create his works, but also to study his subjects. His painting style, though realistic, also suggests an unconventional flavour as he constantly strives to create original works that are anatomically accurate, yet at the same time are fresh and innovative.